Fresh Tomato Bloody Mary | "Il faut goûter"
Conjuring up cocktail recipes is not always so intuitive to me. But a Bloody Mary, well that’s more like making a nice cocktail sauce, isn’t it? Or even salsa? Or pasta sauce?…These things I can whip up in minutes. 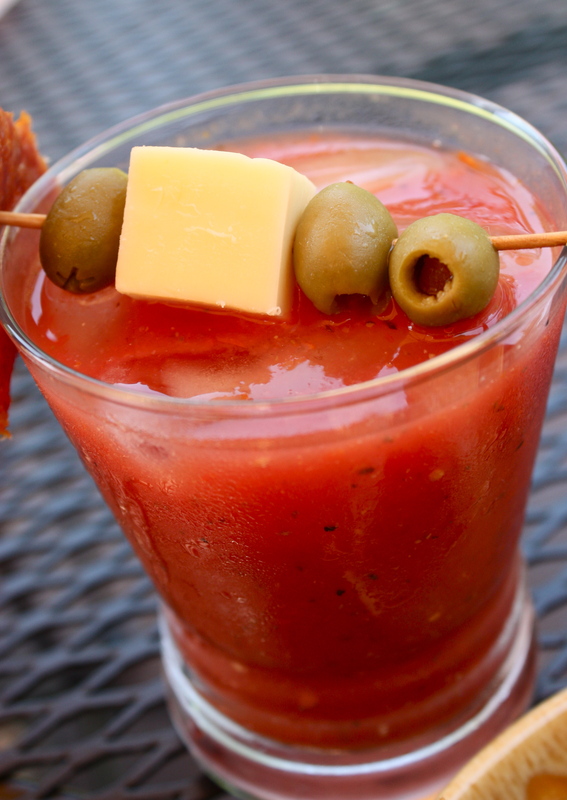 Now add a fresh Bloody Mary to that list! Put all that jazz in a blender and liquefy. Taste as you go to adjust the spices to your liking. These proportions make the drink pleasantly spicy on the back of the throat, but not overly so. I chilled the mix for about an hour before preparing the cocktails. But, don’t let it sit too long, because the flavor of the spices tends to get too strong. These should be made and drunk fresh! To make the cocktail, put 1 ½ oz. vodka and 4 ice cubes in a cocktail shaker. 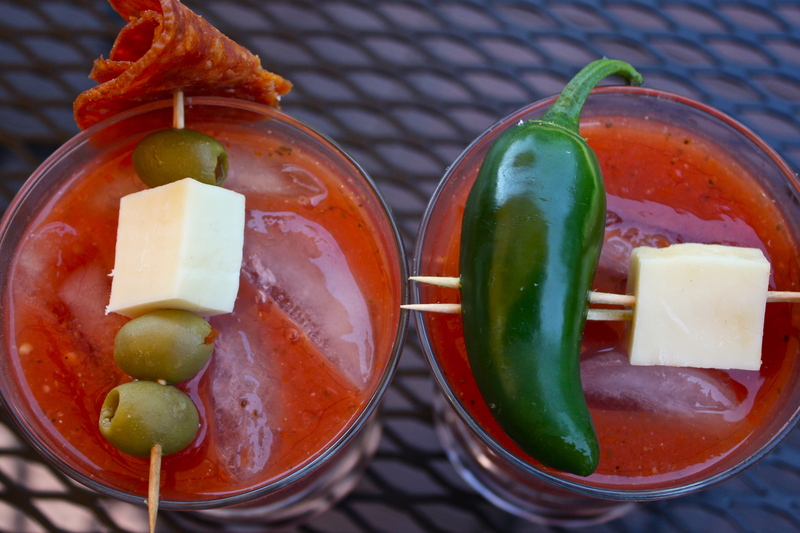 Pour in a bit less than 1 cup of the Bloody Mary mix. Shake shake shake. Pour into an 8 oz. glass. Garnish with delightful savory things! *This makes enough for about 3 8oz. cocktails. 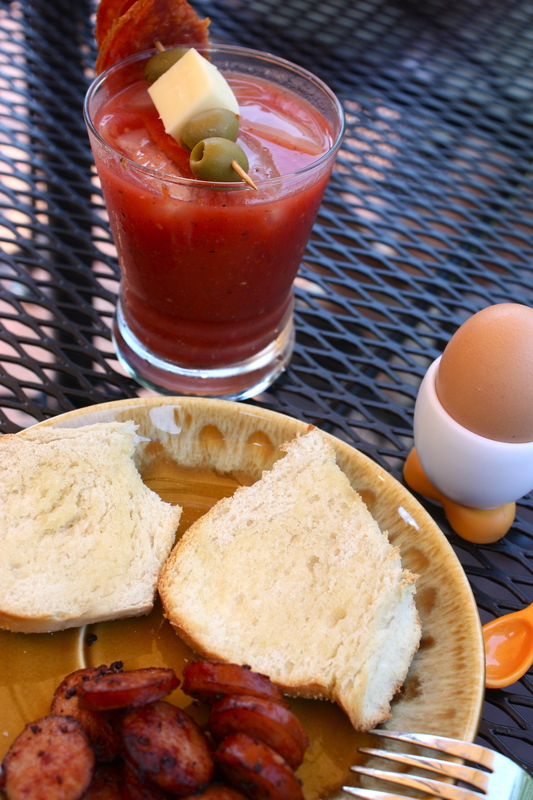 This entry was posted in Uncategorized and tagged bloody mary, brunch, cocktail, drink, food, fresh tomato by needtotaste. Bookmark the permalink. This is great on a summer, Saturday morning on the porch.